Order your custom collage t-shirt here! We will provide you with a mockup of the t-shirt or tank design before printing the shirt. Please note that Shipping times are in addition to processing times for our custom collage t-shirts. The processing for a custom collage t-shirt can take anywhere between 3 to 14 days depending on how busy we are. 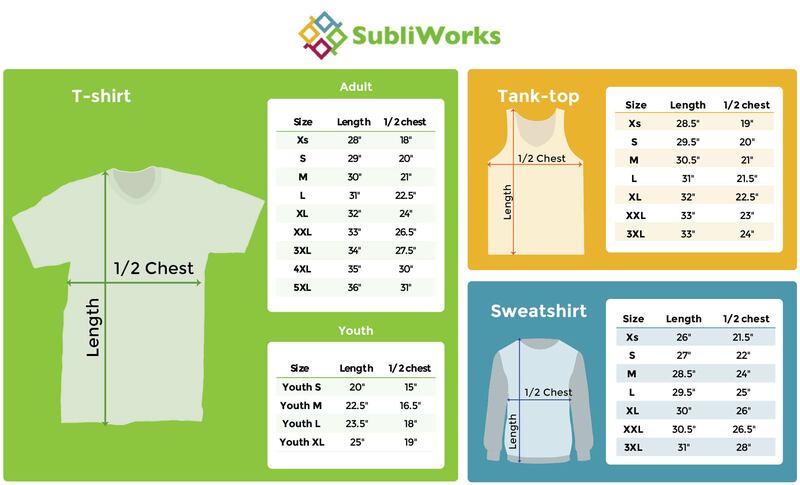 If you are looking for a quicker turn-around, please email us in advance of purchasing, at info@subliworks.com.